A couple of days ago, on the phone with a friend, I was trying to find the right words to explain my admiration for João Gilberto Noll’s books, but I was failing. The closest I could come to articulating it was to say that when I’m reading his work I feel challenged, not by tricks of language or diction, but by being confronted with the immense complexity of people and society, captured in short books of simple words and beautiful imagery. When I got to the office yesterday morning, I had an email from Adam Morris, who has translated two of Noll’s books for us, saying that Noll had died the night before, at age 70, in Porto Alegre. 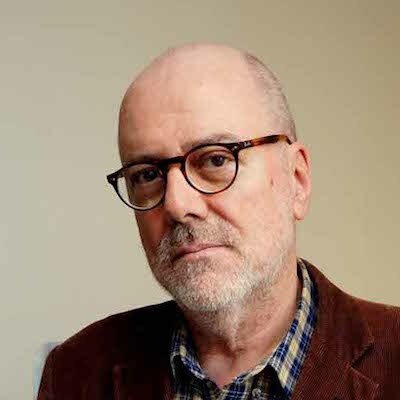 João Gilberto Noll has been one of the most influential and controversial writers in Brazil since his debut collection of short stories, O cego e a dançarina, was published in 1980. His writing, though it has gone through distinctive modes through his more than eighteen books, has always been unique. His sentences have ranged from long and winding (even for Portuguese) to short and direct, but his themes have remained constant. He was concerned with the common person, the poor person, the person left to fend entirely for himself by Brazil’s volatile economy and political system. In Quiet Creature on the Corner, which we published last year, a jobless and entirely futureless young man growing up in the midst of Brazil’s economic collapse in the 80s drifts to the point where he loses any sense of right and wrong. The book is brutal in its imagery, but at its heart is a profound sadness about what happens to people, and what they are capable of, when there is no possible future they can envision. What I value most about Noll’s work is the mixing of the high and low language. One of the things that made him so controversial in Brazil is how he embraced the language and cadence of the lower class, recast into the sentences of literary art. There are critics who have maintained that his work couldn’t be literature because it’s too stripped, too base, but that reading not only overvalues overwrought language but also ignores the obvious intensity of the craft of his work throughout his books. Noll won the Prêmio Jabuti, the most prestigious prize in Brazil, five times. He spent a semester at the University of California, Berkeley and at the Iowa International Writing Program, and was a Guggenheim fellow. He was a very worldly author, and his books have been translated widely, but he is also a quintessentially Brazilian voice that spoke important truths from that corner of the globe. All of us at Two Lines are very sad to see that this necessary voice is now, regretfully, silent. One of the wonderful things about translation is how it lets an author’s words continue to resound in new languages, and even after that author has passed. So we are very proud to have been able to publish two of Noll’s books in Adam Morris’s wonderful translations, Quiet Creature on the Corner and Atlantic Hotel, which is coming out this May. Bringing these books into the U.S. and finding a new readership for Noll has been incredibly rewarding. But there are still so many more idiosyncratic and beautiful and difficult books of his to be translated. We hope that the voice of this true iconoclast continues to echo in English for many years to come.